Victoria University is one of the world’s leading institutions in ERP systems (SAP) education as recognised by industry, SAP and academia. The University has strong links with industry who support the ERP systems program. Our Faculty of Business and Law and SAP signed an agreement in 1998 to enable the University to develop courses and conduct research based around SAP’s solutions. The key ERP courses offered include Master of Business and Graduate Diploma in ERP Systems. The quality and value of these courses have gained a world wide reputation in industry, SAP and academia. The University has formed partnerships with international education institutions to offer ERP education at offshore locations. These include Beijing Jiaotong University (China), Lithan Hall (Singapore), Lithan Hall (Myanmar) and Ganpat University (India), Sunway College (Malaysia). Negotiations are underway in a number of other countries. 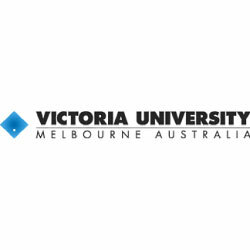 Victoria University provides a quality research program focussing on different aspects of SAP solutions and their use. One of the most comprehensive curriculum in the world covering areas such as: Business Process Management, Supply Chain Management, Business Intelligence, Customer Relationship Management, Change Management, Programming, Implementation, Strategy Development, Configuration and Administration. Students learn on the latest SAP solutions. These include SAP ERP modules, Business Information Warehouse, Business Objects Business Intelligence, Customer Relationship Management, Advance Planner and Optimiser, Solution Manager, and NetWeaver components. SAP Mentors teach at least four subjects in the courses. Strong demand from industry for Victoria University graduates. 24×7 access to SAP solutions. Certificates of Completion provided for all subjects that provide “”hands on”” experience with SAP solutions. The Singapore Government has sponsored more than 400 students to undertake Victoria University SAP related subjects in Singapore. Victoria University was the first foreign University to be allowed to partner with a University in India to offer its courses. Modern teaching facilities in the CBD of Melbourne. Students can study either Part-time or Full-time. Strong research and education specialisations in Business Intelligence and Supply Chain Management. IMPORTANT: According to a representative from the University, they do not offer this training anymore.